The Finite-Difference Time-domain (FDTD) method allows you to compute electromagnetic interaction for complex problem geometries with ease. The simplicity of the approach coupled with its far-reaching usefulness, create the powerful, popular method presented in The Finite Difference Time Domain Method for Electromagnetics. This volume offers timeless applications and formulations you can use to treat virtually any material type and geometry. The Finite Difference Time Domain Method for Electromagnetics explores the mathematical foundations of FDTD, including stability, outer radiation boundary conditions, and different coordinate systems. It covers derivations of FDTD for use with PEC, metal, lossy dielectrics, gyrotropic materials, and anisotropic materials. A number of applications are completely worked out with numerous figures to illustrate the results. It also includes a printed FORTRAN 77 version of the code that implements the technique in three dimensions for lossy dielectric materials. There are many methods for analyzing electromagnetic interactions for problem geometries. 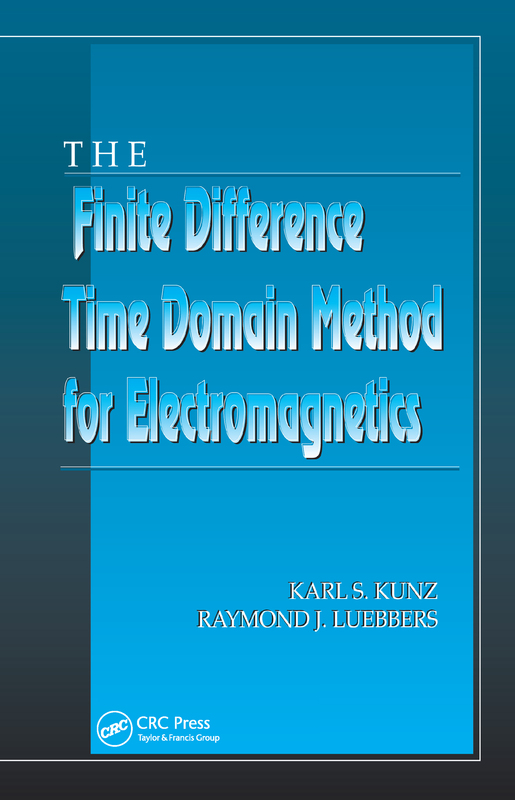 With The Finite Difference Time Domain Method for Electromagnetics, you will learn the simplest, most useful of these methods, from the basics through to the practical applications.